The immutability and decentralized nature of public blockchain networks, such as bitcoin and Ethereum, could allow governments to process large amounts of sensitive information on an unchangeable and transparent platform. In an exclusive interview with Binary District, Daniel Gasteiger, the co-founder of Procivis, an electronic ID solutions company built on integrated e-government platform eID+; and Patrick McCorry, a Research Associate at University College London (UCL), discussed the potential of blockchain technology in e-governance and the limitations that may restrict its applicability. Over the last two years, several governments, including those of Brazil and Georgia, have utilized blockchain technology to manage electoral votes, land registry and digital identities. While many countries have fallen behind Brazil and Georgia in the adoption of blockchain technology, the governments of Japan, South Korea, and the US have vowed to continue exploring the value of the technology in e-governance. As a data processing technology, blockchain is largely applicable to many of government’s functions and services. Gasteiger explained that blockchain technology could replace existing infrastructures and methods, such as electoral votes and the digitization of ownership. “The blockchain further allows governments to digitize their registries, for instance, land registry, commercial registry or marriage registry, and it can facilitate the secure allocation and distribution of social benefits. By implementing these applications, governments can foster public trust and increase citizens’ engagement,” said Gasteiger. The application of blockchain technology in e-voting and the real estate registry would see governments processing millions of transactions on a public blockchain network daily. This could, in turn, increase the potential and facilitate the adoption of blockchain commercially. Gasteiger further reiterated the importance of the immutability and decentralization. These two characteristics give blockchain a significant edge over existing technologies because it ensures that information is readily accessible and allows both the government and the public to verify that it has been unaltered. Moreover, this is all recorded in a transparent ledger without the fear of hacks or security breaches. “The blockchain’s characteristics of immutability and decentralization offer two crucial advantages. First, the validity of any official document stored on the blockchain can be reliably verified at any time. Second, the decentralized nature of the blockchain allows governments to digitize their services without the need to create a central storage for sensitive data, sometimes called a honeypot, which would represent an attractive target to hackers,” added Gasteiger. However, immutability and decentralization come with huge costs and tradeoffs — namely scalability. While public blockchains are extremely secure and virtually impervious to security breaches because they are distributed and don’t have a single point of failure, they struggle to process large amounts of data at fast speeds. In order for data to be sent and received on a blockchain network, every node on the network must synchronize to ensure that each piece of information is verified and confirmed. By eliminating miners and processing information within the network through stakeholders, the migration from the proof-of-work (PoW) consensus protocol to the proof-of-stake (PoS) consensus protocol algorithm could ease the burden on nodes and users. In a PoW-based system, miners use electricity and computing power to solve blocks and process information. In a PoS-based system, miners are nonexistent and those holding that cryptocurrency can process data without the need for electricity and computing power. Blockchain technology — impractical for e-governance? Despite the wide range of applications blockchain technology could power, UCL researcher Patrick McCorry has stated that scalability is still the primary issue for any public blockchain. Ethereum remains the most flexible and scalable blockchain network in the global cryptocurrency market, settling more than 1.3 million transactions a day according to Etherscan. As such, it has a daily transaction volume larger than that of all cryptocurrencies in existence combined, including bitcoin. Even with Ethereum’s flexible blockchain network, it doesn’t have the capacity or efficiency to fit hundreds of millions of votes on the blockchain. At this time, public blockchains can only handle around a million transactions a day. For instance, if the Brazilian government was to process its popular petitions on the Ethereum blockchain, which it plans to do in the future, only around 500,000 votes could be processed a day. Given its obvious inefficiencies, governments have begun exploring methods which could enable blockchains to process large amounts of information outside of the main blockchain network and then simply send a compilation of information to the blockchain. In the recent testing of its Ethereum-based electoral system, the Brazilian government utilized a system called hashing to combine all daily votes into a single transaction and broadcast it to the Ethereum blockchain network. Systems like hashing allow blockchains to process large amounts of information in chunks, compile it into one transaction and, ultimately, process it much more efficiently and at a lower cost. McCorry, however, maintains that the system employed by the Brazilian government only solves the specific issue of time-stamping. He emphasized that it does not solve the problem of scalability as a whole. “This is mostly to do with time-stamping and committing to a set of votes in such a way that the Brazilian government cannot remove or add votes in the future. 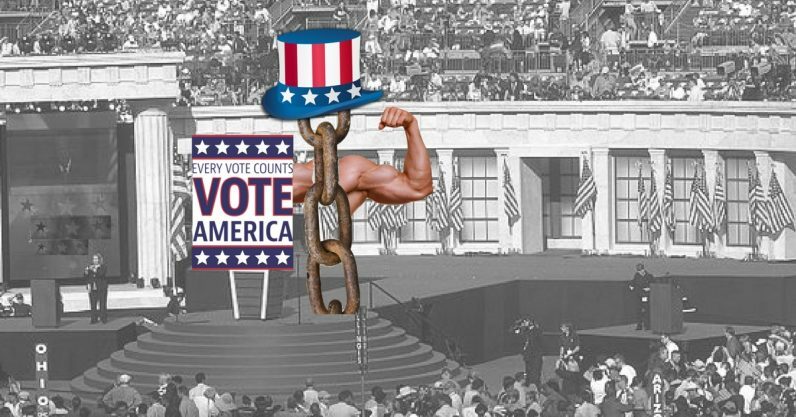 I think it is honorable that they have attempted to add further integrity to their electoral system using the Ethereum blockchain, but it only solves this one issue. It does not help solve ballot stuffing or authenticating voters. That depends on the voting protocol being used by Brazil,” said McCorry. He asserted that he is not convinced of the applicability of blockchain technology in e-governance or why it is better than traditional database replication techniques in the management of votes, land registry and digital identifications. Henrique Costa, a law professor at Universidade de Brasília, who is currently an advisor to the Brazilian government on the testing of Ethereum blockchain network in processing electoral votes, gave a contrasting opinion. In regions like Brazil where corruption remains a serious issue, Costa said that the blockchain could bring legitimacy to the country’s electoral system by processing information transparently. Costa added that, in Brazil, there is no secure method of gathering votes and signatures from the people when processing popular petitions. In this system, a regulatory proposal can be heard in Congress if the signatures of 1 percent of Brazil’s population are obtained. The blockchain could be used to manage these popular petitions along with other important aspects of the country’s electoral system. While McCorry believes that e-governance is a compelling use case for blockchain technology, he still holds that, for now, blockchain has “very little” advantage over existing technologies. Ultimately, there are no compelling use cases for blockchain technology that are better or more efficient than existing technologies. Nevertheless, as scalability improves, second-layer scaling solutions are implemented and blockchain is adopted by the e-governance sector, more convincing use cases of blockchain technology will likely emerge.